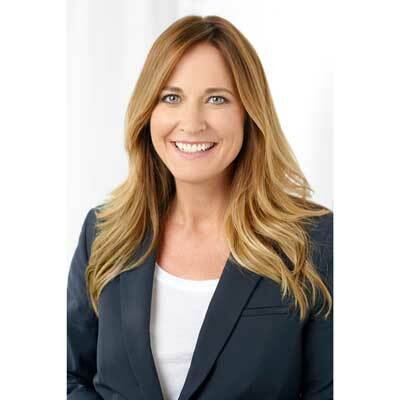 VP & GM, Americas Channels, HP Inc.
Stephanie Dismore is vice president and general manager, Americas Channels, at HP Inc. In this role, Dismore is responsible for leading and managing all aspects of HP's commercial and consumer channel sales in the U.S., spanning distribution, national solution providers, regional VARs, public sector, and SMB partners in the commercial channel, as well as retail partners in consumer electronics, office product super stores, regional retails, e-tail and specialty channels. Dismore is also responsible for overseeing all channel-related partner planning, development and programs for the Americas region. During her 18-year tenure at HP, Dismore has held a variety of leadership positions in sales, marketing and channel roles. Most recently, she served as vice president and general manager of the Americas commercial channel with primary responsibility for HP's U.S. commercial channel business and Americas channel partner development and programs. Prior to that, Dismore led the U.S. consumer business where she was responsible for the development of go-to-market sales strategies for HP's retail and online channels. Dismore resides in Austin, Texas with her two children. HP is a channel company first. Since becoming an independent company in 2015, we have continued to double down on our partner strategy. In FY17, we maintained growth in the channel business - sustaining our 87 percent share of HP's business. This includes the expansion of our printing product lines, such as the A3 line and the launch of our 3D printing partner program as well as continued dominance in the U.S. PC market (32.6 percent of total PCs, nearly six points ahead of Dell, which was number two, according to IDC). We have now had six consecutive quarters of increasing year-over-year PC shipment growth, despite a stagnant overall market. We are continuing to see growth. Notably, we also launched the HP University partner offering, an industry-leading program providing our partners with education and sales training support services to help succeed in the market and shift from transactional to contractual retail customer relations. This offering is now available to our partners worldwide. As GM of HP Americas Channels, I oversaw these efforts, helping guide the product and partner program teams through the development and customer relations and sales processes. It is an ongoing trend, but the continued shift from transactional to contractual retail relationships continues to be our biggest point of emphasis in the marketplace. This trend has enabled our partners to radically rethink their own retail business models - to keep our business healthy and growing we need to continue to adjust accordingly. In addition to our innovative products, new offerings such as HP University reflect our commitment to providing channel partners with the support and services they need to succeed in this new landscape. Named one of CRN's Most Powerful Women of the Channel in 2017, one of CRN's Top 25 Channel Sales Leaders of 2017, and most recently, CRN's 50 Most Influential Channel Chiefs. I am also a member of the CTA board and was presented with a Legacy Award in 2018 at CES in January. I have also been added to the board for Anti-Defamation League (ADL), City of Hope and selected to receive the Patricia Rienzi Legacy Award at the ADL's National Consumer Technology Tribute Dinner in November of this year. I am a huge fan of Angela Ahrendts. In particular, she faced big challenges during her transition from Burberry to Apple, starting new in a different industry and role, all while trying to stay true to her values as a leader. As an executive for both of these iconic brands, Ahrendts is not just leading retail, she is reinventing it. Peers have praised and recognized Ahrendts for her ability to motivate and inspire teams - something I aspire to bring to the table at HP. Do what you love. Once you identify exactly where you want to spend your career, whether it's tech or fashion, do two things: stand out and shine. Remember that you can be anything you want, just not everything you want at the same time. Life is like a balance beam, as you accumulate more responsibilities and opportunities, you'll have to proactively choose which to drop in order to stay on the beam. Or, you'll risk dropping it all. Data Science Talent: Big data and machine learning will be ubiquitous in the near future. As a result, data science is becoming a critical skill in most industries and therefore would be great to master for any leader in any area moving forward. Turn the Ship Around by David Marquet is about a nuclear submarine commander who gives an order to his crew that he knows is incapable of being executed effectively. He uses the impending disaster as an opportunity to teach his crew about their instincts, inspirations, and the concept of "leading to lead" vs. "leading to follow". This fictional captain's lessons are invaluable for anyone who wants to build an organization that will outlive them.